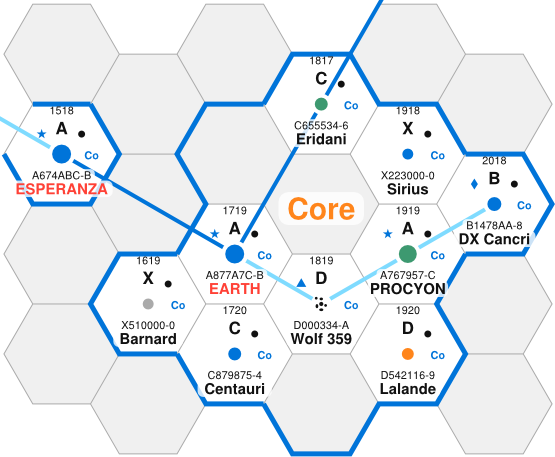 Expanded article on Earth system. This is the second part of my article on Ad Astra space drives. Part 1 is here. Today, TL9 – TL11. Ad Astra space travellers are forced to use somewhat more realistic space drives than in “traditional” Traveller. Even with antimatter, high-tech interstellar craft typically take a week to travel to or from the jump point. Without antimatter, travel times stretch into months. I’ve updated my Traveller ship design spreadsheet to reflect this new reality. This article describes the primitive drive technologies available at TL6 – TL8, together with some examples. 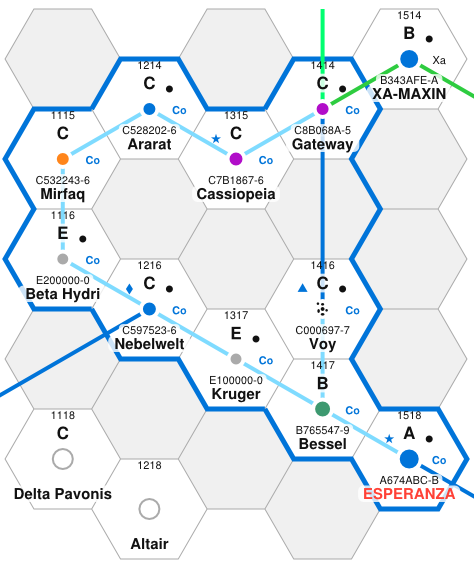 I’ve been working on “Ad Astra”, a space opera campaign for Traveller. I thought I’d publish a bit of the background information… it’ll be useful for potential players, and I relish feedback from my critical friends. 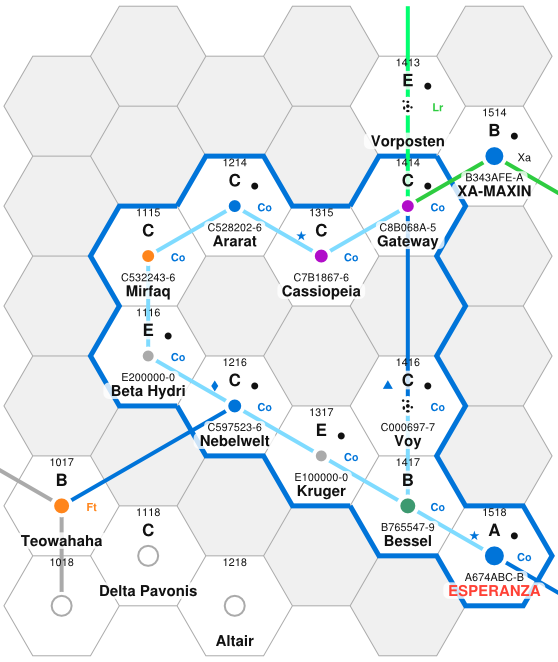 The Long Republic (Langerepublik) is a huge German-speaking state that grew out of the human colony world called “Weg” (The Road). 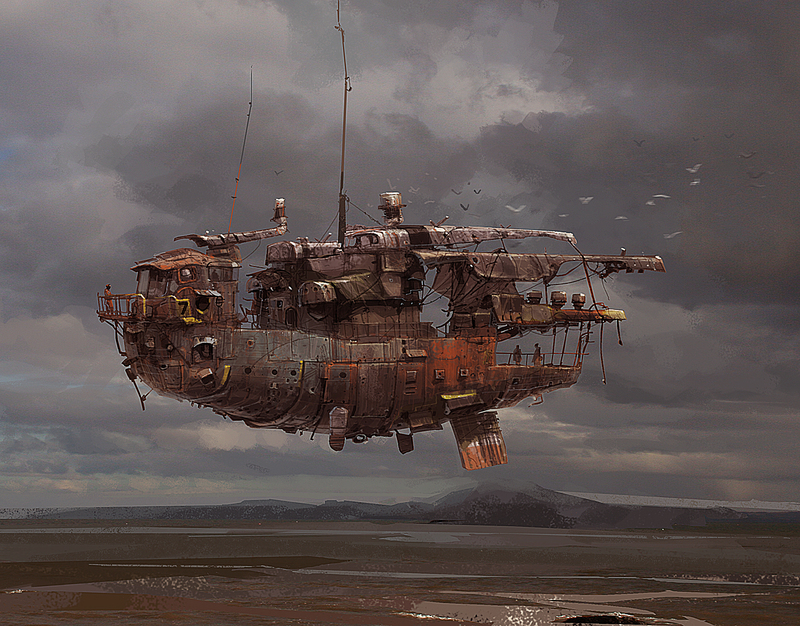 Weggers live as nomads, constantly on the move, either on their home world, or in “Caravan Ships” that ply the Main. Weggers are allied with the mysterious “Spiders” who live somewhere in the coreward Main. This has given them access to technology that baffles Core world scientists – particularly gravity generators and apparently reactionless thrusters. 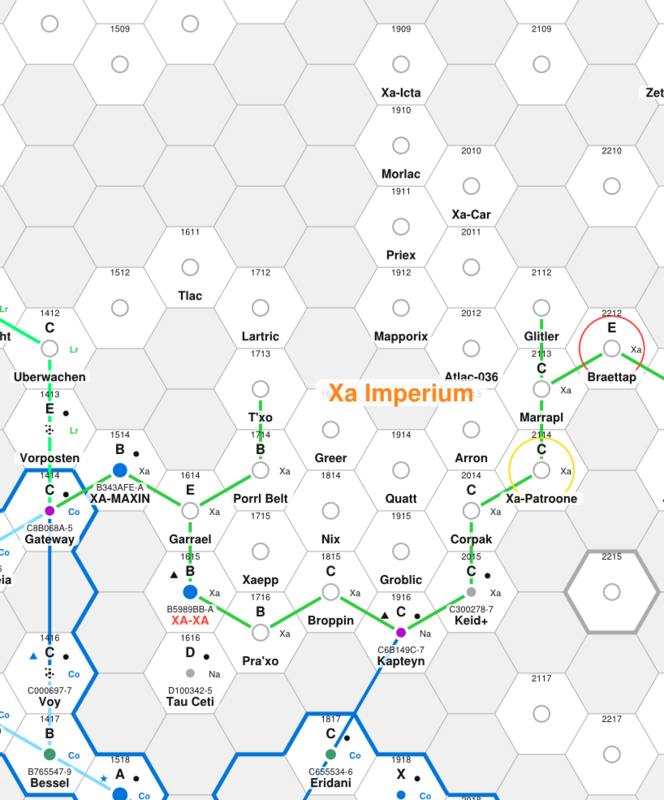 This technical edge allowed them to drive the Xa Imperium back along the Main, almost to Xa-Xa.